These cute, realistic plush dogs are a great way to show the love this Valentine's Day! 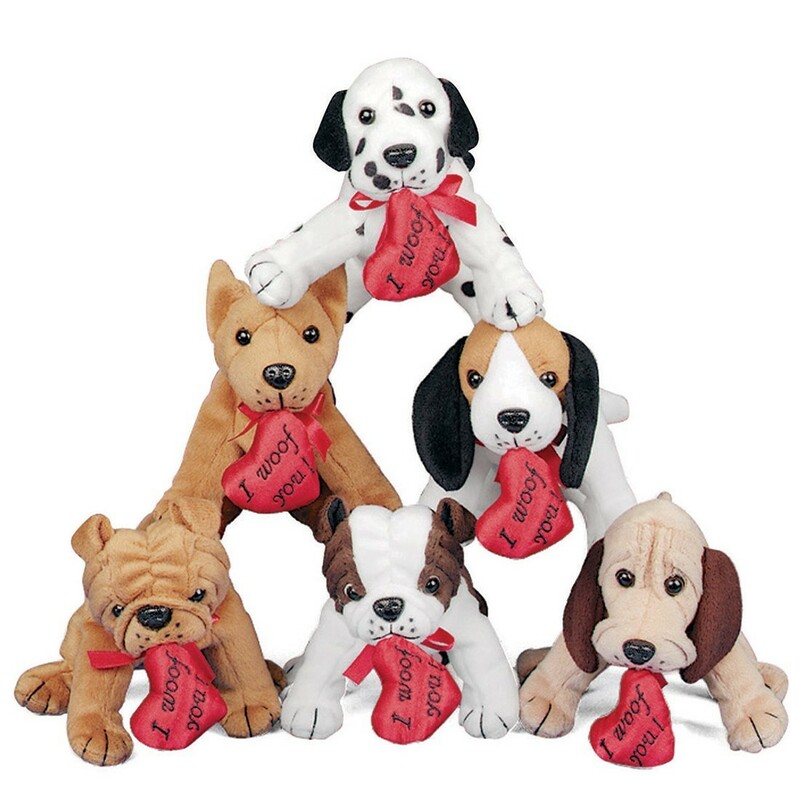 Each pup carries an embroidered heart in its mouth that says "I Woof You"! The perfect valentine gift for dog lovers!